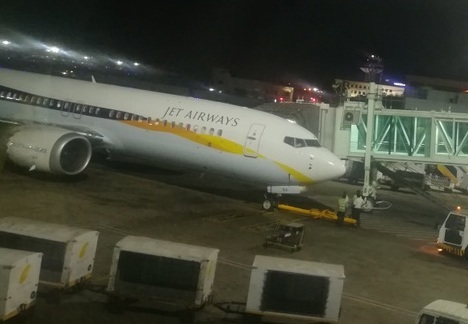 Is Jet Airways getting back to normal? Should we book on Jet Airways for future travel? Here's what we know so far and what to interpret out of it. The proposed pilot strike from April 1st has been postponed to April 15. This after Jet reportedly cleared salary till December 2018 and sought more time to pay Jan to March Salary. Even pilots don't really want to strike, resulting in more cancellation, possible more long term damage. Will Jet clear Jan to march dues in 2 weeks? I don't think so- may be they will use part of Bank infused funds to pay for another 15-30 days (like Jan salary) and buy more time to clear remaining payment. Even with that, I think there's no immediate risk of pilot strike. 2. Goyal and family gone! One of the long term demands of key stakeholders and external entities possibly interested in investing in Jet was the exit of Naresh Goyal and family. This has happened last month finally, giving better management control to lenders and other stake holders. Is this a good sign? We can say for sure if any new stakeholders come forward. But at least one uncertainty has ended. There were talks of banks infusing up to 1500 crores to ensure that airline continues to operate. At the time of writing there's no confirmed news if this fund infusion has actually happened- been about 2 weeks since the news. Banks are looking for an additional investor or a potential buyer who can also infuse some funds. There's also public pressure on govt not to spend tax payers' money to save a private airline while government seem to ensure airline survives at least till end of election season, so that there's no political impact of another big failure and loss of 15000+ jobs. As a passenger, this means there's no immediate threat of entire airline collapsing- at least not yet. Many analysts are putting a BUY advise on Jet Airways stock, anticipating situation will improve and share price will rise. If you trust them and your instincts you can act accordingly! 6. Complaints on twitter remains- still many people fighting for refund, alternate flight, not being able to reach call centre and so on. This may take few weeks to cool off as situation begins to improve and support staff manage to clear backlog of refunds. Don't expect any immediate change on this front- should be lucky not to have the situation worsened. Jet Airways situation hasn't gone from Worse to hopeless- so it is a good thing. There is some hope of partial recovery. I wouldn't say it is fully safe to book/trust jet airways again. I would still watch with caution for another month if I were to book. If you already have a ticket and your flight isn't cancelled, you have more hope now that your flight will operate, than it was a month ago. So let us hope for some good news in coming days..